The new memory has been developed for a new GPU with a 384-bit memory interface and 16Gbps memory speed. One of the leading vRAM memory producers, SK Hynix, has announced its new GDDR6 memory standard, which was in development in collaboration with JEDEC (Joint Electron Device Engineering Council). According to SK Hynix, the new standard is twice as fast as the current GDDR5 standard used widely by GPUs today. In addition the new GDDR6 standard is also 10% more power efficient. The company has disclosed that the new memory has been developed for a client, for use in an upcoming high-end graphics card to be released in early 2018. 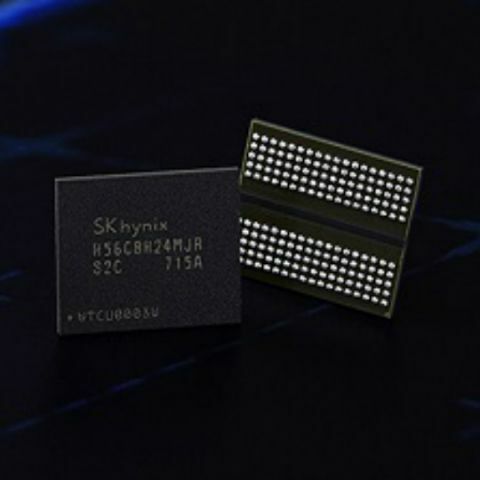 According to SK Hynix, the new memory is an essential solution for technologies such as AI (Artificial Intelligence), VR (Virtual Reality), self-driving cars and high-definition 4K displays. Now, as far as we know, AMD has no plans on the self-driving cars front, which rules it out for now and make NVIDIA 'the client' that the new GDDR6 memory is being developed for, and may likely feature in the company’s upcoming Volta GPUs. The new GPU will have a 384-bit memory interface, a memory bandwidth of 484 GB/sec and a memory speed of 16Gbps. In comparison, the recently updated NVIDIA GeForce GTX 1080 Ti has a 352-bit memory interface with a memory speed of 16Gbps and a memory bandwidth of 768 GB/sec. This means that the upcoming GPU featuring the new GDDR6 memory could have 40% to 45% more bandwidth compared to the current gen NVIDIA 1080 Ti and even the Titan XP for that matter. Moreover, rumours suggest that the upcoming Volta architecture based NVIDIA GPUs will be manufactured using the new 12nm FinFET process by TSMC, which could mean more performance and better efficiency on the chip front as well. Combined with the new GDDR6 memory this could mean drastic improvements in performance. So, did you buy a new Pascal based NVIDIA GPU recently, eh? It will be there in few months.